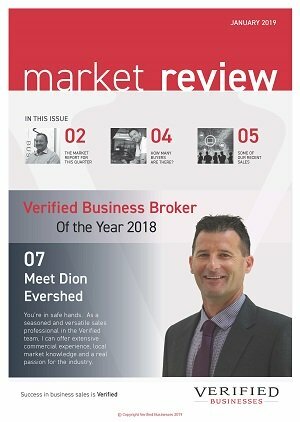 Business for Sale Sunshine Coast - Dion Evershed 0414 741 626 of Verified Businesses has pleasure in presenting this well established, local service provider business. • New owners have an opportunity to take on more work and grow! Local service provider - extremely loyal client base!! Anyone with a printing or graphics background could ease themselves into this long established and well known local business with the minimum of fuss. This business manufactures an array of stickers, transfers and signage, but predominantly specialises in the screenprinting of shirts and other clothing. Clients include local sporting clubs, small businesses and corporate clients, along with international sporting event organisers and associations, and even some overseas sporting clubs. The business also sells direct to the general public on occasion. Being strategically located in a well known industrial estate, it provides easy access for both new and existing clients. Knowledge of graphic arts software and an eye for detail would be helpful here, as the business includes all the necessary software, along with an extensive range of Plant and Equipment which is renowned for producing quality products at competitive prices. The customer base includes many repeat clients, approx. 90% of which regularly use the business services through the year. Working in the heart of the beautiful northern Sunshine Coast, this lifestyle business is being presented as one owner operator who works about 50-60 hours per week, depending on demand, and with one casual employee ‘receptionist/admin’ three days per week. This well established business has operated for around 14 years, with the current owner originally establishing the business. Currently, the present owner knocks back work in order to concentrate on the more lucrative accounts. Therefore, further growth potential to expand this operation is possible through increasing advertising and promotion work, canvassing, or simply in taking on more work. This provides an opportunity for a new owner, or alternatively, it could be easily maintained at the current level. This business consistently has 2-3 weeks worth of forward work, and is usually working on 20-30 jobs at any one time. Best of all, most business clients pay within 7 days, with a 50% deposit being taken on all work before commencement. The current owner will provide four weeks training and introduction to clients. This exciting growth business has fared exceptionally well even in past years and offers a new owner continued opportunities for growth, security and lifestyle for many years to come. These types of cash businesses don’t come up that often, so don’t be disappointed - call for an inspection of the business ASAP!